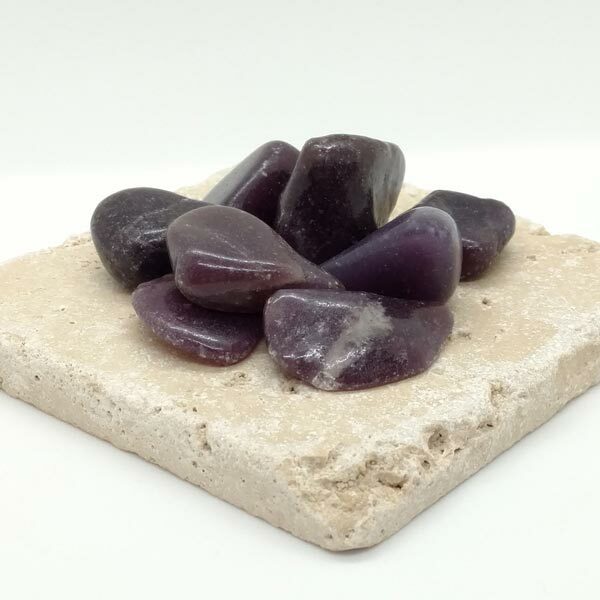 Tumbled Lepidolite healing gemstones, all natural with flecks of Mica. Ready to set out, wrap or just carry in your pocket. Current stock varies from pale to deep lavender shades. Larger size of at least 1 inch, most are larger. Lepidolite works as an aid to set goals and to realize them without outside help. Your Gem Bag is empty. Connects the heart and crown to bring spiritual understanding to suffering or pain. Provides understanding of the growth that is brought and the purpose of that pain. Brings about an understanding of our life purpose and our place in the universal plan. Heals fear at its source, from this or past lives. Opens and releases pain and suffering level by level, and releases karmic suffering. Lepidolite has a monclinic crystal system and is in the phyllo or sheet silicate mica group. Its coloring is generally a pinkish violet. Basically it is a mica that contains lithium. It is formed in a primary process in pegmatites or in transformed granites. Well formed crystals of up to an inch have been found in Auburn, Maine, but generally, it is the fine grained pieces that are more commonly found throughout the US, mainly in Colorado and in New Mexico. Abundant deposits have now also been found in Afganistan, Pakistan, Brazil, Sweden, Madagascar and Australia. As with most gemstones, Lepidolite offers its best effects when in direct contact of the body. It may be worn or can be laid directly on painful areas. It may also be used by laying it under your pillow to help with sleep disturbances. Lepidolite helps to encourage independence. It works as an aid to set goals and realize them without outside help. In doing this, change may take its course in an inconspicuous and quiet manner. Lepidolite helps to insulate us from outer influences, especially in finding yourself in crowded areas with lots of people. It brings an inner calm and peace and can help with sleep disturbances. Lepidolite will greatly assist us in objective and targeted decision making. It is a great aid in providing concentration towards what is really needing to be done and to stick to our goals by neutralizing our outer ditractions. Lepidolite can be a great aid to nerve pain, sciatia, neuralgia and problems with the joints. It provides a detoxifying effect and stimulates purification processes in the skin and its connective tissues. Lepidolite has a special affinity with those who are in the sign of Libra, but benefits all signs. It carries a Receptive Energy, its Planets are Jupiter and Neptune, and its Element is Water. Lepidolite was discovered in the 18th century by Abbe Poda who named it Lilalite. Its naming was an apparent attempt on word play for its color and the Hindu word of Lila meaning play game. Serious scientists were apparently not amused with his humor and later on the mineralogist Klaproth renamed it to Lepidolite meaning scale stone. 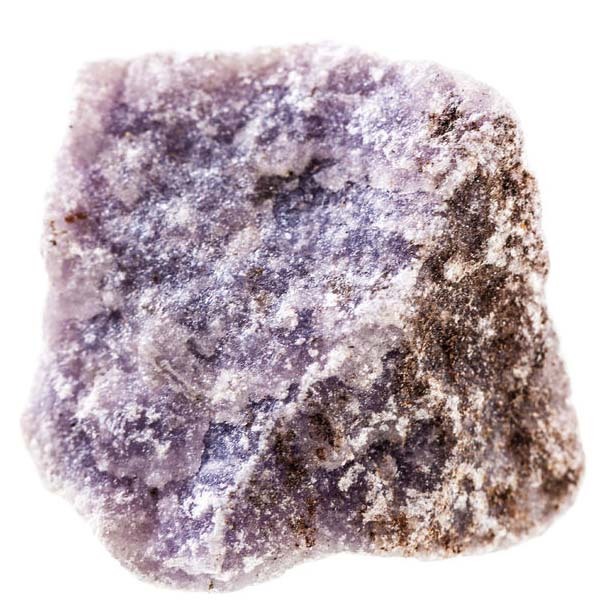 Currently, magickal practitioners have been using Lepidolite to increase psychic awareness by placing it on an altar between yellow or blue candles and focusing on it for deep meditation. Is not medicine but assists you on your path to better health and well-being. The information that has been provided on this site is not medical in nature and should not replace any medical treatment. It is not meant to replace conventional medicine, but rather to complement and enhance it. Consult your doctor or other health care practitioners regarding health issues. I hope you enjoy my site, find it easy to use, and bookmark it as a reference on your journey. I am more than happy to share my information with you for your site -just ask permission first. Crystal Healing should only be used with the understanding that it is not an independent therapy, but one that is a part of a holistic healing approach.